Malaysia is a country in Southeast Asia. The federal constitutional monarchy consists of 13 states and three federal territories, separated by the South China Sea into two similarly sized regions, Peninsular Malaysia and East Malaysia (Malaysian Borneo). Peninsular Malaysia shares a land and maritime border with Thailand in the north and maritime borders with Singapore in the south, Vietnam in the northeast, and Indonesia in the west. East Malaysia shares land and maritime borders with Brunei and Indonesia and a maritime border with the Philippines and Vietnam. Kuala Lumpur is the national capital and largest city while Putrajaya is the seat of federal government. With a population of over 30 million, Malaysia is the world’s 44th most populous country. The southernmost point of continental Eurasia, Tanjung Piai, is in Malaysia. In the tropics, Malaysia is one of 17 megadiverse countries, with large numbers of endemic species. Malaysia has its origins in the Malay kingdoms which, from the 18th century, became subject to the British Empire when the Straits Settlements became British protectorates. Peninsular Malaysia was unified as the Malayan Union in 1946. Malaya was restructured as the Federation of Malaya in 1948, and achieved independence on 31 August 1957. Malaya united with North Borneo, Sarawak, and Singapore on 16 September 1963 to become Malaysia. In 1965, Singapore was expelled from the federation.The country is multi-ethnic and multi-cultural, which plays a large role in its politics. About half the population is ethnically Malay, with large minorities of Malaysian Chinese (the second largest community of Overseas Chinese in the world), Malaysian Indians, and indigenous peoples. A few days after falling off a boardwalk at Kinabatangan Wetlands Resort and breaking five ribs I was in a lot of pain and feeling sorry for myself. I managed to survive my time in the Hospital Duchess of Kent and was pleased to leave Sandakan for Kota Kinabalu. 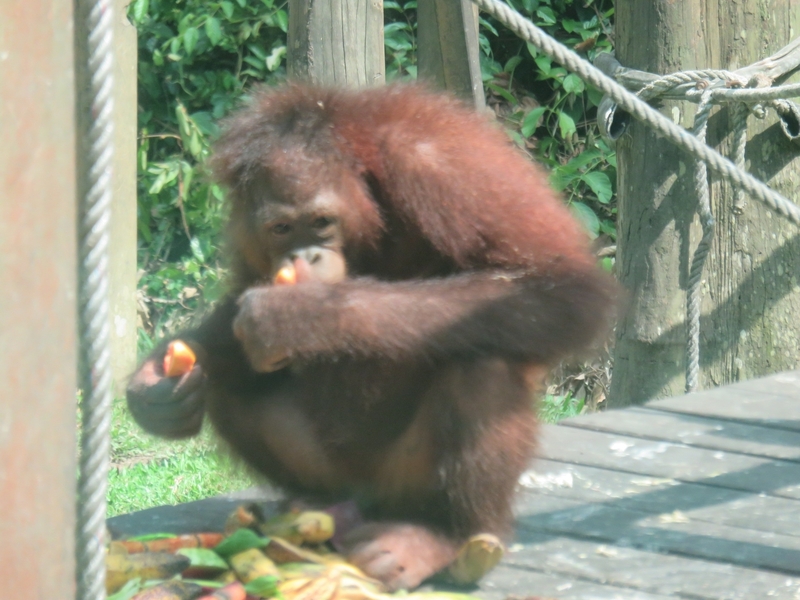 A great insight into the fauna and flora of Borneo. There is a well thought out inside exhibition centre and extensive grounds with a canopy walk way. The start of a journey down the Kinabatangan river in Sabah, Borneo. This is the perfect place to see several species of monkeys, including the proboscis monkey and the rare bornean pygmy elephant. For as long as I can remember I have had a love affair with orangutans. so a trip to Borneo has long been on my bucket list. I felt the urgent need to do this visit sooner rather than later because of the threat to primary rain forests. Who Need a Visa to Visit Malaysia? Malaysia Entry Requirements - Required Travel Documents for Travel to Malaysia. American, UK, Canadian, EU Countries, Australia and New Zealand citizens are required to have a passport valid for at least six months to enter Malaysia, but do not need to obtain a Malaysia visa in advance for a pleasure or business trip if their stay in Malaysia is 90 days or less.